The final event of the Nepal Earthquake Summit was a Town Hall featuring an opportunity for conference attendees and participants to ask questions to Nepali government ministers directly responsible for relief efforts. Swarnim Wagle, former member of the National Planning Commission and the conference’s keynote speaker, and Mahendra Shrestha, Chief of Policy, Planning and International Cooperation Division in the Health Ministry, took questions regarding government preparation prior to the earthquake and continued efforts to improve planning and response for any future disasters. About a hundred people attended the Town Hall, most of whom were Brahmin and Chettri Nepali students. Although the conference was an interaction between Nepalis, it was conducted in English, which may have affected the discussion. Shrestha took questions about the Government’s success in preventing disease outbreak and about the continued struggle to improve mental health services in a country not just physically, but mentally scarred from the earthquake. Wagle addressed questions about the National Planning Commission’s continued role in improving governance, especially emphasizing the need for transparent flow of information between the government and citizens. He also addressed plans to build additional international airports. The Town Hall provided a rare opportunity for Nepalis to not just get first hand information about the Government’s response to the disaster, but also to question its competency in overall governance. On April 25, 2015, a 7.9 magnitude earthquake hit Nepal, killing approximately 9000 people and destroying over 500,000 houses. 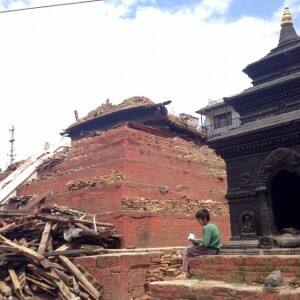 The worst disaster to hit Nepal since the earthquake in 1833, it affected eight million people living in about 40 percent of Nepal, across 39 of its 75 districts (UNDP). The earthquake, however, came as no surprise as it had already been predicted for many years. Nested on a fault line between the Eurasian and South Asian tectonic plates, Nepal is the 11th most earthquake-prone country in the world and has faced 20 major earthquakes in the last 1000 years. 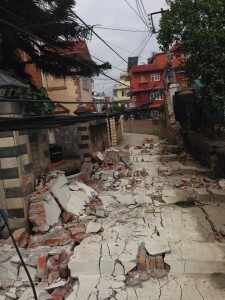 Regardless, the Government of Nepal was clearly not prepared for this disaster. With the news of the earthquake circulating around the globe, a lot of relief goods and monetary support from other countries, organizations as well as individuals started flooding into Nepal almost instantly. Private sectors collected around $32 million, the UK contributed $31 million, United States- $20 million and the Prime Minister’s Disaster Relief Fund (set up by the Nepali Government) itself collected over $92 million. 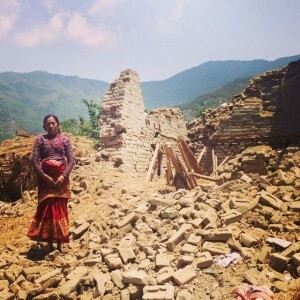 Regardless of all this support however, many villages claim to have received no assistance, leaving the Nepalese to question the credibility of their unstable Government and its role in providing relief after the disaster. The National Planning Commission (NPC), an advisory body of the Government of Nepal (GON) for “formulating a national vision, periodic plans and policies for development” is headed by the Prime Minister of Nepal and run by a Vice-Chairman, seven other members and one Member-Secretary. 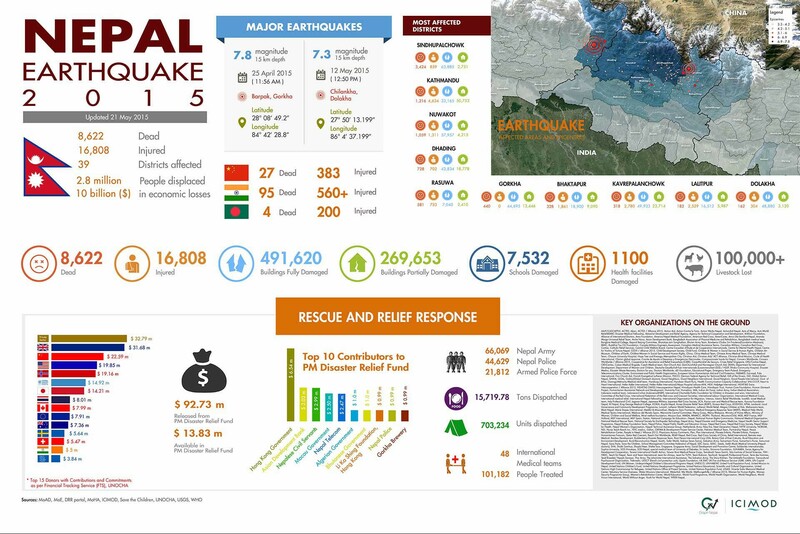 The NPC, along with other development partners were responsible for publishing a Post Disaster Needs Assessment (PDNA), a detailed document that estimates the damages as well as focuses on the future needs of disaster stuck Nepal. 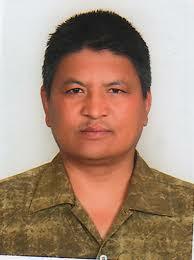 Swarnim Wagle, an economist and former Member of the NPC was one of the people involved with this project. 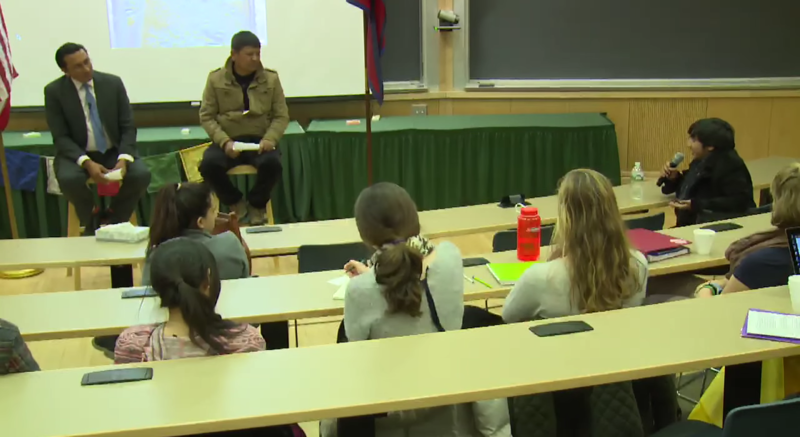 He was also the keynote speaker in the Nepal Earthquake Summit hosted by Dartmouth College. During his speech on Feb 19th, he assured everyone present regarding the role of the GON by stating that it had mobilized 90% of its security forces and civil workers almost immediately during the disaster. He also challenged any doubt related to the Prime Minister’s Relief Fund and urged everyone to check its website as it reflects detailed bookkeeping of all the aid money and how it has been used thus far. However, he did admit the lack of assurance shown by the government to its people. “The Government was there but the politicians weren’t,” he said. The last event of the Nepal Earthquake Summit at Dartmouth College, the Town Hall took place in a seminar room, with the two Nepali Government officials, Swarnim Wagle and Mahendra Shrestha perched on stools between the flags of Nepal and the United States. The about hundred strong audience sat in semicircles around the speakers. The audience was composed of mostly Nepali diaspora, anthropology students, and a few western academics. The town hall began with brief self introductions of the speakers. Mahendra Shrestha emphasised how the work of the health department in the “immediate phase” was an “example for other countries”. After these introductions, the floor was opened up for questions. The first question came from Avishek Shrestha, a Nepali Dartmouth staff member, who had been an active participant throughout the Summit. He asked the speakers if Nepal was prepared for an Earthquake now that it had experienced the horrors of being hit by a disaster unprepared. Mahendra Shrestha responded by specifically talking about hospitals in Kathmandu. He claimed that none of the hospitals had suffered any damage, but many were being retrofitted now. Wagle too responded positively, pointing out that the aftershocks of the Earthquake in May were handled much better by all parties. The only question about the Government’s relief work in rural Nepal as compared to urban areas came from Kripa Dongol, a Dartmouth senior. Mahendra Shrestha responded vaguely saying that the Government had taken “some measures”, but that their focus had been Kathmandu due to its high population density. From rural Nepal, the next question jumped to the state of the infrastructure and transportation in the country, as this was a consistent problem in the days after the earthquake first struck. The question asker, Sukruti Raut, a member of the Nepali diaspora, specifically asked if new international airports were being built. Among other things, Wagle responded by saying that the government has plans to build two more international airports in Nepal, and a large one of them in Nijgadh, along with a unified expressway to connect Nijgadh to Kathmandu. He added that, “in my personal opinion, we should plan for an airport in the western part of Nepal, places like Birgunj and Dhangadi”. The first of the few questions by Americans, asked the two panelists for advice that they would give to other governments and NGOs who tried to provide help to Nepal, post disaster. Shrestha said that foreign NGOs had provided invaluable help to the Government, but hesitated to be critical of the NGOs in any way. Wagle took the lead on this question, noting that while NGOs are extremely helpful, they can sometimes be “frustrating”. He expanded on this further, saying that NGOs need to be able to self-discipline and organize; they cannot expect the government to go out of their way to help them when the government is already busy. They demand helicopters, when we are unable to even provide transportation for Members of Parliament, he said, to the amusement of the audience. He also mentioned that those who contribute aid should use “common sense” when thinking of what to give – essential matter, not things like expensive bottles of mineral water and “canned tuna fish”. Educated in the West, Wagle seemed more adept at being able to navigate the setting, while the English medium may have posed some obstructions to Shrestha in answering the question in the way he would have in Nepali. A medical anthropologist, Sienna Craig was curious as to why there were no disease outbreaks in the country after the earthquake, as often occurs after natural disasters, and what measures the government took to do accomplish this. Shrestha said that the Health Ministry established a unified health system very early on after the earthquake, in order to make sure that access to medical care would not be interrupted, and worked with foreign doctors and NGOs extensively in setting up measures to counter any potential spread of disease. There were also significant water and food purification measures taken by the government alongside the WHO to help limit any type of contamination. Craig also inquired about the mental health services being offered by the Government. Shrestha acknowledged that mental health services were very poor in Nepal, and compared the situation to their neighbour, India. However, he assured the audience that the Government was planning to integrate mental health services with the general health services. This sparked many further questions about mental health. Significantly, Arya Poudel, a female Nepali student, asked how local knowledge and practices might be utilized in treatment, and if they could help perception of mental health within the country, which is normally stigmatized. Mahendra Shrestha noted that health workers are trained to help with minor mental health problems, implying that people do not need to go to extreme, potentially embarrassing measures to be treated. Wagle elaborated, acknowledging that mental health is a significant issue within Nepal, as in any country, and its de-stigmatization is very important. He said that Nepalis live within tight familial structures, and that a lot of mental health problems can be addressed within families. He added that entertainment is also an effective way to fight stigmas in society – in the past, things such as inter-caste marriages have been addressed by radio shows and are now less negatively perceived, and there is potential for mental health issues to be addressed the same way in the future. Austin Lord, an anthropologist from Cornell who focuses on Nepal, asked Wagle to explain the role of National Planning Commission in disaster relief. Wagle said that that the NPC, apart from playing an advisory role, had the power of convocation, meaning that the members of the NPC could summon other Government bodies and initiate action on important issues. He also said that the NPC met with all ministries on a quarterly basis to advise them on how to prioritize their activities. Wagle, also took this question as an opportunity to talk about what he thought were the most important issues for Nepal. He emphasized the need for open data and government transparency. He lamented the fact that the government operates as an unseen force and doesn’t engage with citizens. Government employees treat legitimate requests for information from the government as favors. Wagle wants to see this change, and to make information available and accessible to citizens. 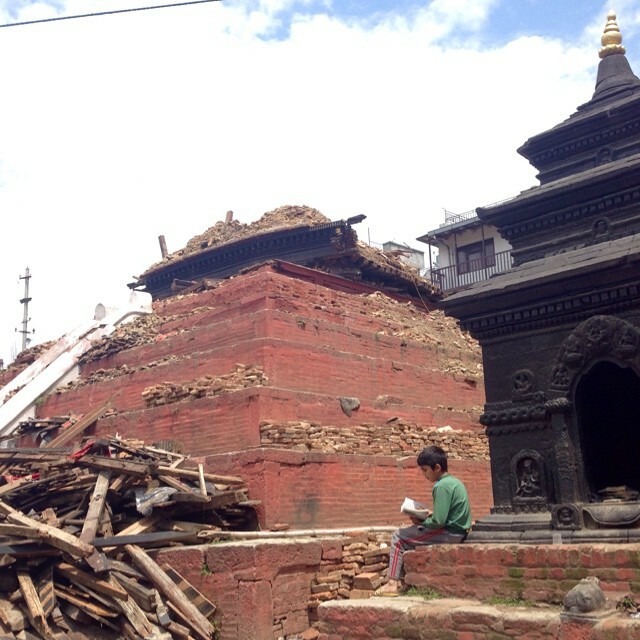 Pradipti Bhatta, a Nepali graduate student, asked how the government planned on involving the youth of Nepal more in disaster relief efforts in the future. Wagle noted that programs have been developed by the government in recent months with the specific intent of involving more individuals in government efforts. An example of this is the NDVS program, which was designed to allow members of the public to assist the government in responding to disasters by acting as government sponsored volunteers. The issue faced here is that the government is liable for anything that might happen to volunteers, since there is no way to monitor them, but they have done really well in the past, and could be even more useful in the future. He concluded by saying that governments and bureaucracies are not designed to be flexible and adaptable, so sometimes rules must be bent and shortcuts created in order to make things happen, and this is an example of a situation where this might be necessary. Many other concerns were also raised by the audience, ranging from the need for open spaces to the many obstructions faced by the youth in engaging in relief work. The town hall presented an opportunity for Nepalis to question authority; interact directly with government officials and prolematize how the Government functioned during and after the earthquake. Mainly, it gave Nepalis a chance to seek transparency regarding the distribution of all the aid money as well as plans to prepare for future natural disasters. Especially important was the fact that the event was livestreamed, making it accessible to Nepalis for whom it would be impossible to reach the United States, let alone Hanover. Despite this push for increased accessibility to more Nepalis through the internet, the event may have barricaded some Nepalis from participating in it because it was conducted in English. A small percentage of Nepalis can speak fluent English, and these people tend to be from the socio-economic elite. The most marginalized, who need to voice their concerns most desperately could not do so. Therefore, we surmise that this exclusion falls along class lines. However, having the town hall in Hanover, and in English made it accessible to a large non-Nepali speaking audience. Most of the Nepali members of audience lived in the United States, had been at least partially educated here, and belong to the upper caste (caste is system of social stratification by which people are divided into four major classes by birth. The upper castes retain most social and economic capital). This privileged position of the actively participating audience shaped the conversation that took place. While important concerns, the state of highways and international airports would at best be peripheral issues for most Nepalis. The presence of non-Nepalis, mostly Americans caused the speakers to extensively talk about the role of NGOs in disaster relief, and that of Sienna Craig led to a conversation about mental health. The speakers had to navigate this diverse set of people, each with their own interests in the aftermath of the disaster. In doing so, they addressed questions not only specific to the Earthquake, but also regarding the general development issues in Nepal. While the question and answer format allowed multiple issues critical to recovery to be addressed, a few main issues stood out as critical to disaster recovery efforts moving forward. The topic of additional international airports for Nepal remains critical for facilitating development and receiving shipments of aid in the futures. The threat of closure could cause significant issues if there is only one international airport and, while projects to build more are in place, the issue remains of high importance, especially for Nepalis abroad. Another core issue of the Town Hall was the continued role of NGOs in relief efforts. Both Wagle and Shrestha asserted the importance of NGO assistance, as NGOs often bring resources and expertise that is either limited or non-existent in Nepal, but also partnering with NGOs to provide the on the ground knowledge for NGOs and government ministries to work in partnership with civil society to function well in the country. Accomplishing this balance is a core issue in disaster response moving forward, especially after so many NGO resources were misappropriated to misplaced during the recovery efforts this last year. Another issue moving forward is mental health. 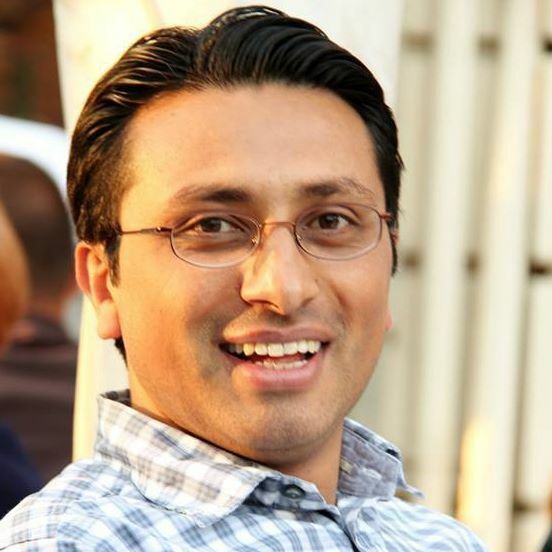 Mahendra Shrestha was unable to answer how mental health awareness would be measured or point to concrete plans to eliminate the stigma around seeking mental health counseling. Both men pointed to seeking help within the home, a strategy many would say is insufficient. Finally, given the large number of youth in the audience, youth involvement emerged as a core issue. The Town Hall offered a unique opportunity for Nepali people to interact with Government officers and this citizen involved process helps illuminate how the government might deal with a core issue moving forward in allocating the remaining disaster resources efficiently. The questions that Shrestha and Wagle answered, as well as the ones they were not able to answer, pointed to the core issues in the government’s role in continued recovery from the recent earthquake and for future disasters. What are some things that were not mentioned during the town hall that may have been critical in understanding the government’s role in the earthquake? How might language and conference location have affected the discussion and influenced who was asking and responding to the questions? How can the town hall serve as a model for similar events that can be held in Nepal, where people cannot easily question the Government? This entry was posted in Uncategorized on March 6, 2016 by f002bkn.